The cost of building cruise ships has increased over the years as the industry sees more advances and larger ships. Cruise Hive looks at the top 10 most expensive cruise ships in the world. The cost of a ship is in US dollars and as new vessels are built the list will always be changing. The amounts below are estimates and rounded up figures. The money spent to build this mega liner truly shows with its seven neighbourhoods, innovative features and creative spaces it really is a master class of our time. The ship was built at then named STX shipyard in Turku, Finland and is currently the world's largest and most expensive cruise ship. This ship is the first built in its class and is only just slightly cheaper than Allure of the Seas and the reasons is mainly because the first ship and all its unknowns can always be more financially unpredictable. The huge vessel was built at the Then named STX shipyard in Turku, Finland and offers guests the very best cruising experience. Harmony of the Seas is the third ship built in the Oasis class. The vessel was built in Saint-Nazaire, France and even though it's currently the largest ship in the world STX has become rather well at keeping costs lower than its sister ships. 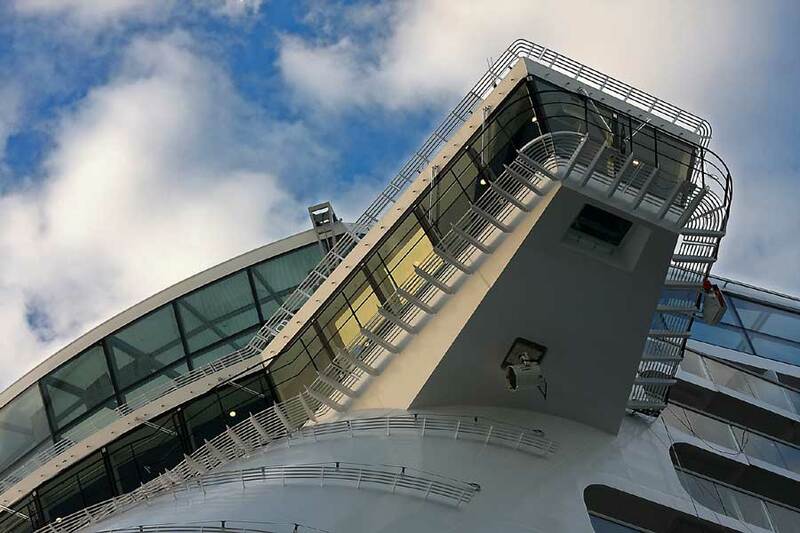 Harmony of the Seas has the tallest slide at sea along with new features and experiences throughout. Norwegian Epic really is expensive with its unique design and size. The ship was built at the STX shipyard in Saint-Nazaire, France. For a while Epic was know as the F3 Project and is now a very unique cruise ship. The ship boasts a large Aqua Park and cabins for single passengers. For some reason Ovation of the Seas cost more than Quantum of the Seas and Anthem of the Seas, it really should be the other way around! The ship is not safe in at number five with all the new ships on order. Anthem of the Seas has a slightly larger tonnage than sister ship Quantum of the Seas so is a bit more expensive. The ship was built at the Meyer Werft shipyard in papenburg, germany and offers lots of new innovative features that are industry firsts. Disney Fantasy is the fourth ship in the fleet and identical to Disney Dream. The ship was built by Meyer Werft in Papenburg, Germany. Kids are in for a real treat onboard this large ship with plenty of features to enjoy. The money spent on the ship shows with a modern Disney decor all over. Quantum of the Seas was slightly cheaper than sister ship Anthem of the Seas to construct. the reason for this is mainly because the ship has a slightly lesser tonnage. The vessel was built at the Meyer Werft shipyard in Papenburg, Germany and is one of the most advanced ships out there. There are conflicting reports on the cost of QM2 with some saying, $900 Million, some $880 Million and even some at $800 Million! With all the refurbishments and upgrades the ship has had its now probably worth a lot more than any of those. QM2 was built in Saint-Nazaire, France and is a totally unique design for sailing transatlantic cruises from the UK to the US. Thanks for taking the time to read the list. Don’t forget to keep checking back as there are some larger cruise ships that have already been ordered. Norwegian Escape cost around $800 Million so just missed out on the top 10. You can take a look at New Cruise Ships On Order for more details.